Zero-waste advocates met with Councilmember Grosso to discuss a polystyrene ban. DCEN helped stop a road from being built in Klingle Valley. The Network has held over 230 Luncheons and forums since 1996! DCEN has been working hard to keep raw sewage and polluted stormwater out of the Anacostia River. DCEN's Capital Climate Coalition fights global warming in the Washington Metro region. 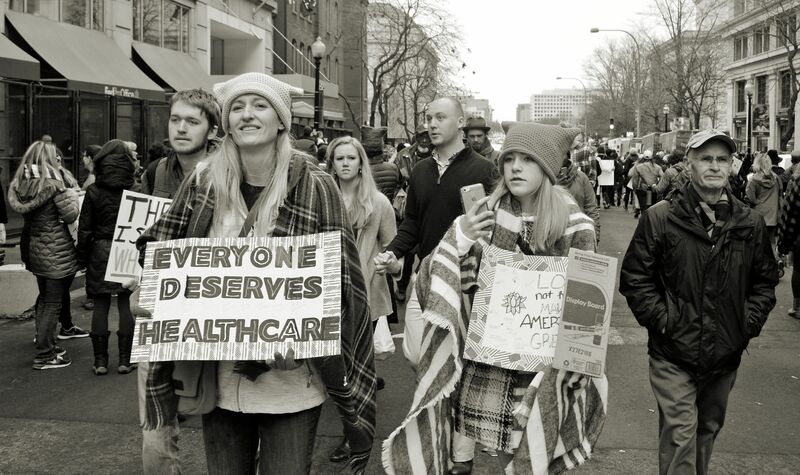 DCEN works hard to protect the health and quality of life for all District residents! The DC Council FINAL budget vote is just under 4 days away! It has only been 9 days since we found out Chairman Phil Mendelson swept $7.5 million dollars from funds that are supposed to deploy solar energy, reduce carbon emissions, and help low-income District resident with energy costs. Tell Chairman Mendelson you want a clean energy future and restoration of the $7.5 million! 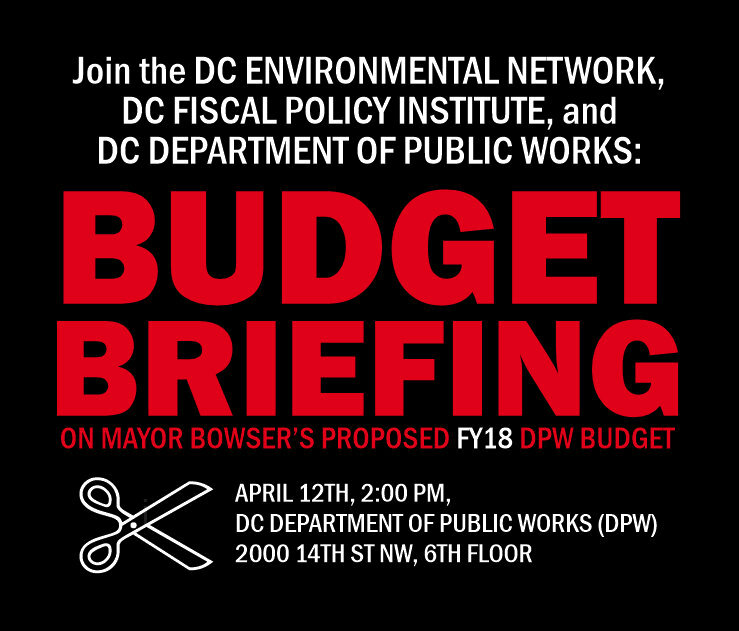 Since we received the sad news, many renewable energy advocates, organizations, businesses, and others, have been working hard to get past all the noise during budget season, and communicate with DC Councilmembers and staff about the need to restore these special purpose funds. We have asked several Council offices to approach the Chairman and see if something can be worked out. We are at the point in the budget process where it takes a bit of coordination and communication to make stuff happen. We continue to move forward. Today we delivered a coalition letter to Chairman Mendelson signed by some of the most active District advocates, organizations, associations, and renewable energy businesses. We expressed our opposition to the raid of Renewable Energy Development Funds (REDF) and requested he restore the money. You can read our coalition letter here. Signatories included the Center for Biological Diversity, Chesapeake Climate Action Network, DC Climate Action, DC Consumer Utility Board, DC Environmental Network, DC Fiscal Policy Institute, DC Public Banking Center, DC Sierra Club, DC Solar United Neighborhoods, DC Statehood Green Party, Foundation Earth, Global Green USA, Green Cross International, GRID Alternatives Mid-Atlantic, Institute for Local Self Reliance, Institute for Sustainable Power, MDV-SEIA, National Housing Trust, New Columbia Solar, The Ocean Foundation, Washington Parks & People, and Wentworth Green Strategies. We are also continuing to send emails to the Council expressing our opposition to this sweep of important renewable energy funds. Take action right now! We need your voice. What we, and all global citizens, do locally in response to President Trump’s inaction on climate change, may be the most essential element to the success, and survival of our planet. I would hate to wake up the day after the Council vote knowing we had given up important resources needed to grow the District’s clean energy future and help some of our neighbors who need assistance. Hopefully a commitment to taking the necessary action to combat climate change will prevail. Two Steps Forward by Mayor Bowser and Councilmember Cheh, One Step Back by DC Council Chairman Mendelson on Climate Change! 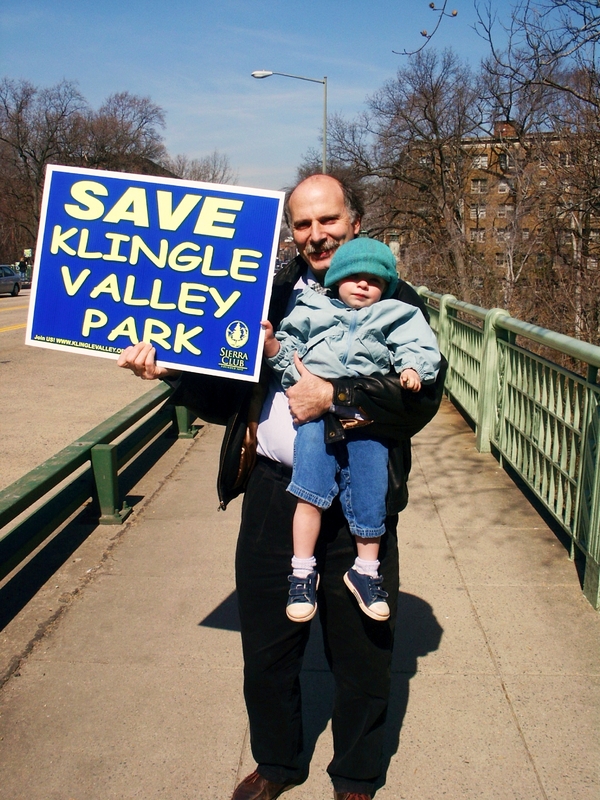 In the last week, as the Mayor, and some on the Council move forward with a strong climate agenda, why is Phil Mendelson taking a big step backward? – Last Thursday, Mary Cheh, Chairperson of the DC Council Committee on Transportation and the Environment, called on Mayor Bowser to join the newly formed United States Climate Alliance committed to upholding the 2015 Paris Agreement on climate change. – Just yesterday, DC Mayor Muriel Bowser signed a Mayor’s Order to reaffirm the District’s commitment to the Paris Agreement, and dig in with meaningful programs to reduce carbon emissions. The question many are asking, as others move forward, is why DC Council Chairman Phil Mendelson is taking a step backward, and raiding $7.5 million in Renewable Energy Development Funds (REDF) that should be used for the District’s Solar for All program to reduce carbon emissions and help low income residents stabilize their energy costs? 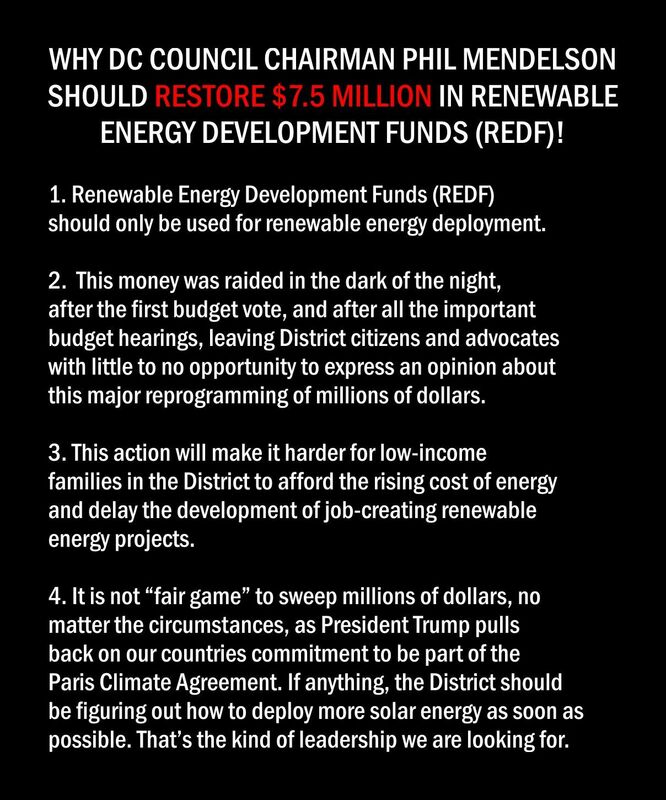 Tell Chairman Mendelson to take a step forward and make sure the $7.5 million in REDF funds are restored and used to deploy solar energy! Now many in the DC solar movement continue to appreciate that Chairman Mendelson has been supportive of renewable energy programs in the past and many call him the “Father of the Renewable Portfolio Standard” in the District, as he worked with DCEN and others, over ten years ago, to establish the District’s first targets for solar energy. That’s exactly why so many of us are scratching our heads and wondering why Phil would not make sure that special purpose REDF funds, meant to be focused on deploying solar energy, were used just for that purpose? Chairman Mendelson has suggested that unspent REDF funds are fair game for the taking. We believe, no matter the circumstances, to use these funds for anything other than growing local solar ignores the reality that our planet needs to deploy as much renewable energy as we can if we are ever going to be able to push back against the growing impacts of global climate change. We believe what Chairman Mendelson should be doing, as a leader in efforts to promote renewable energy, is protecting these REDF funds and making darn sure that they are used appropriately in support of a clean energy future in the District. 1. Take a minute and go to the DC Solar United Neighborhoods (DC SUN) website and send an email to the Council today asking that they fix this terrible mistake. CLICK HERE! 2. On Friday, DCEN will be delivering a coalition letter to the Council urging them to restore the $7.5 million Renewable Energy Development Funds. If your organization is interested in signing on, send an email to cweiss@globalgreen.org. We still have time to make this happen. Thank you! I need to update you quickly on an important, new, DC budget challenge. 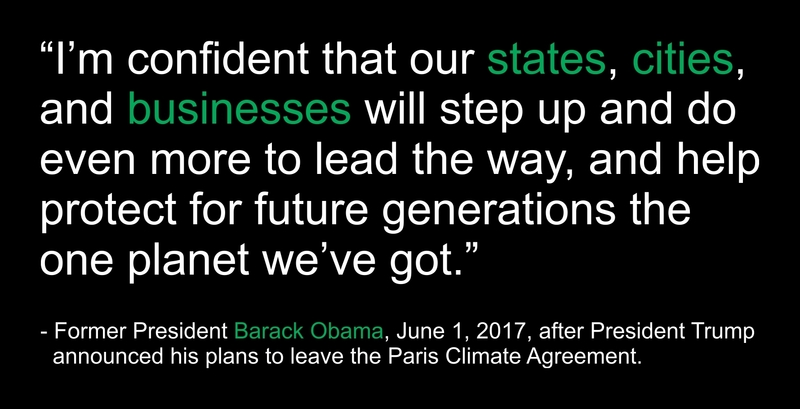 I am writing this as our President, Donald Trump, just announced he is going to pull the U.S. out of the Paris Climate Agreement. This is not a surprise. I expected this to happen. Just two days ago I found out something that did surprise me. And not in a good way. In a surprise move, behind closed doors, and with no public input, DC Council Chairman Phil Mendelson swept $7.5 million dollars from the Renewable Energy Development Fund (REDF). As former President Obama is calling on cities to “step up and do even more”, some on the DC Council, are forgetting we have a global climate crisis, exacerbated by the actions of a climate change denier president. Unless we convince them otherwise, this Council plans on taking funds that are supposed to help create a clean energy future and using them for other purposes. 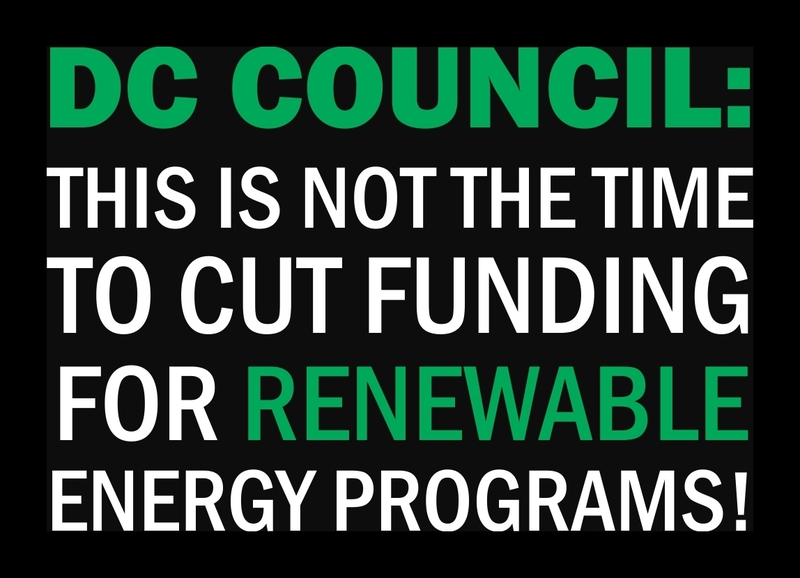 DC Council: This is NOT the time to cut funding for renewable energy programs! This is the time to expand, not decrease, our efforts to grow renewable energy in DC. It’s not going to be easy, but if we commit to this, we can show the world, even as President Trump tries to dismantle our efforts to combat climate change, that the District of Columbia is going to “step up and do even more.” We can show the world that even if we are not part of the Paris Climate Agreement, we are all committed to doing our part. Our last chance to stop this will be at the final DC Council consideration of the “Fiscal Year 2018 Local Budget Act of 2017” that is scheduled for June 13th, a little over ten days from today. The DC Environmental Network, and other organizations and coalitions, are trying to figure out next steps. We will continue to update you on this important budget issue. 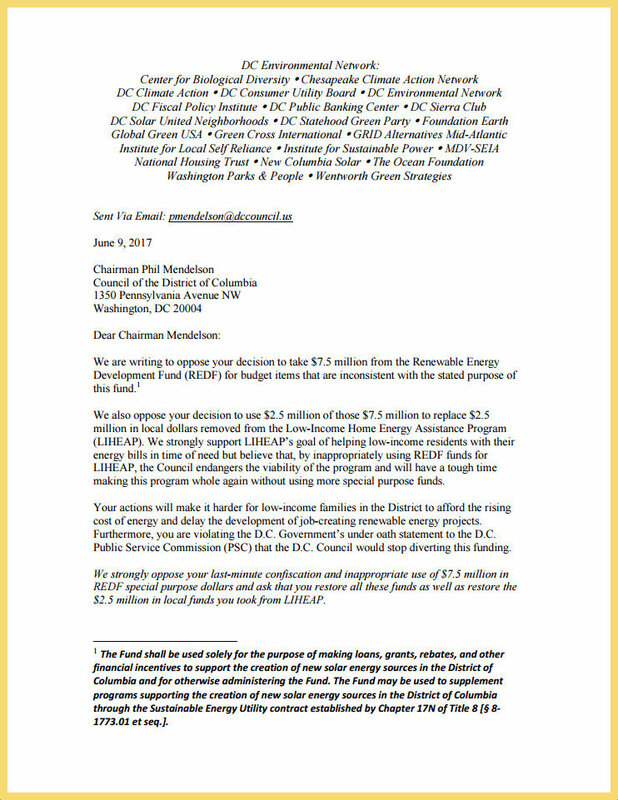 In the meantime, send an email to Chairman Mendelson at PMendelson@dccouncil.us, urging him to use the Renewable Energy Development Fund (REDF) to develop renewable energy! It’s that simple. Mark your calendars! Join DCEN on Friday, June 2nd, at Noon! How a DC Council Leaf Blower Bill Can Help Protect the Health of DC Families! 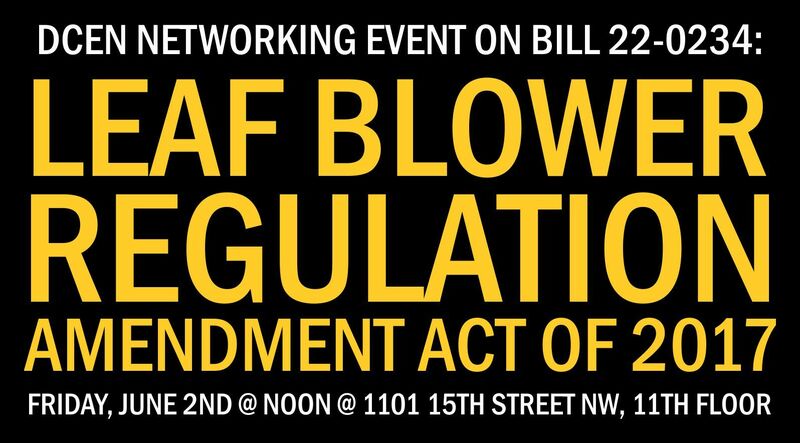 On April 4th, Councilmember Mary Cheh introduced Bill 22-0234, the “Leaf Blower Regulation Amendment Act of 2017.” This bill’s intent is to “amend the District of Columbia Municipal Regulations to prohibit the sale and use of gasoline-powered leaf blowers in the District of Columbia by January 1, 2022.” This bill was co-sponsored by Councilmembers Allen, Grosso, McDuffie, and Bonds. On June 2nd at NOON, join the DC Environmental Network for our monthly networking opportunity. 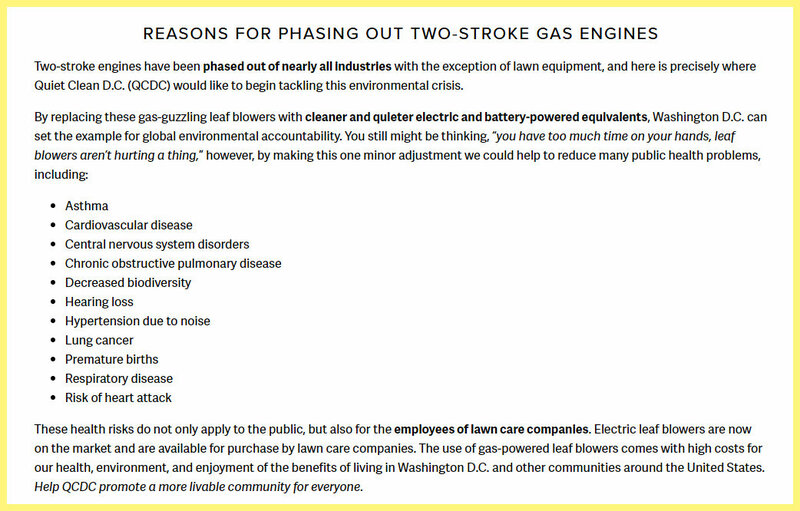 We will focus on Councilmember Cheh’s bill, and other local and national efforts, to phase out noisy, polluting two-stroke gas engines (leaf blowers) in the United States. RSVP HERE! This event will be held at the offices of Friends of the Earth and Green Cross International, 1101 15th Street NW, 11th Floor. All are welcome. RSVP HERE! Look forward to seeing you on June 2nd. Wednesday was a good day for the District! 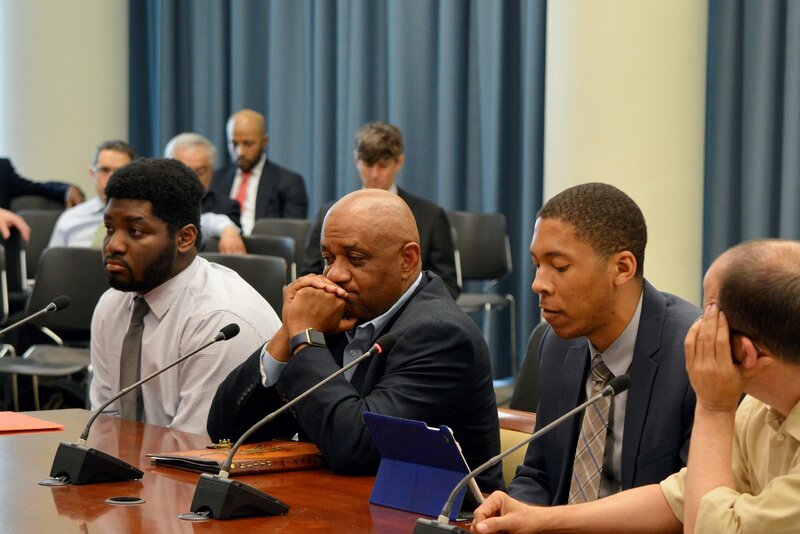 Last Wednesday, the DC Council Committee on Transportation & Environment took a very important step towards supporting recycling programs, helping DC families in need, and restoring the Anacostia River. After the DC Environmental Network (DCEN) convened budget briefings on Mayor Bowser’s proposed FY18 Budget, at both the District Department of Energy and Environment (DOEE) and the District Department of Public Works (DPW), as well as testifying at two performance oversight and two budget oversight hearings for the same agencies, DCEN had to decide what our budget advocacy priorities would be. In the end, we decided to work towards restoring funding and staff to DC recycling programs, restoring funding to the Low-Income Home Energy Assistance Program (LIHEAP), and restoring funds slated to be used for Anacostia River restoration efforts. We even made progress in other areas including funding for a new composting facility and a new environmentally focused position (staff lawyer) at the Office of Attorney General. It was a very good day for the sustainability community. 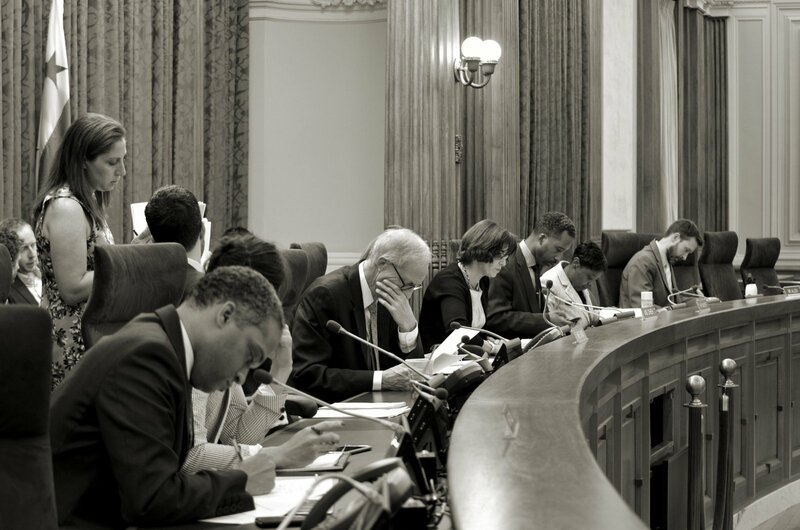 It was clear as DCEN watched the budget mark-up that committee Chairperson Cheh, and Councilmember’s Allen, Evans, McDuffie, and Todd, had all done their homework, and were working hard to do a good job. The results were commendable and we are all very thankful for their efforts. The Council still has to hold two more votes on the entire budget. The first vote of the full Council will be on May 30th, the final vote will be June 1st. Both votes will begin at 10:00 AM, and be held at the John A. Wilson Building, 1350 Pennsylvania Avenue NW, Room 500. I am hoping some of you can join me in support of our budget goals. 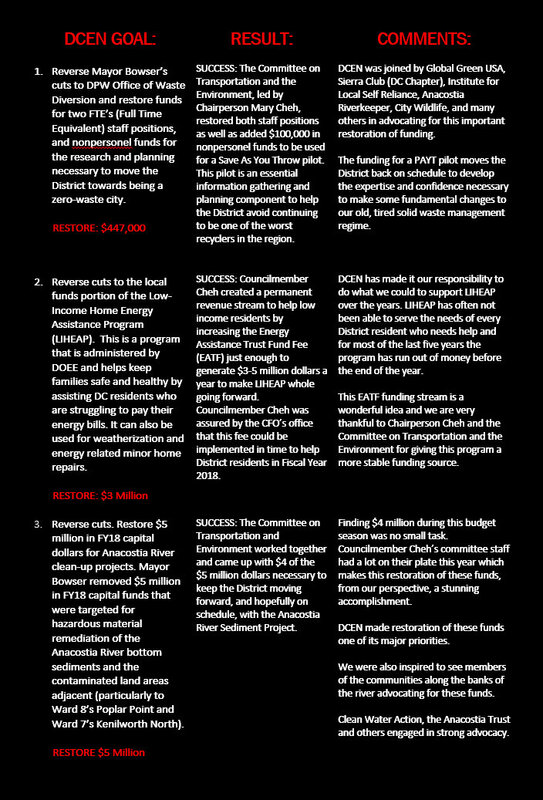 DCEN will continue to monitor Council budget actions and make sure our changes survive the next few weeks. Thanks for all your help. DC Council: Restore $5 million in FY18 capital funds for Anacostia River clean-up projects! As many of you know, Mayor Bowser removed $5 million in FY18 capital funds that were targeted for hazardous material remediation of the Anacostia River bottom sediments and the contaminated land areas adjacent (particularly to Ward 8’s Poplar Point and Ward 7’s Kenilworth North). Now many of us are scrambling trying to figure out if we have enough leverage to convince the Council to restore these important funds. We should not have to be doing this. We should not have to be advocating, again, for funds that had already been committed to help with the cleanup, the remediation of toxic sediments. Not now, not after so much work by so many, over too many years. The river, and adjacent, arguably too often forgotten communities, have been waiting far too long to see some measurable progress and experience a modicum of well deserved economic and environmental justice. The DC Environmental Network, and many other DC citizens, river advocates, and organizations, should not have to repeat our efforts and use our limited time and resources to do what we thought had already been done. 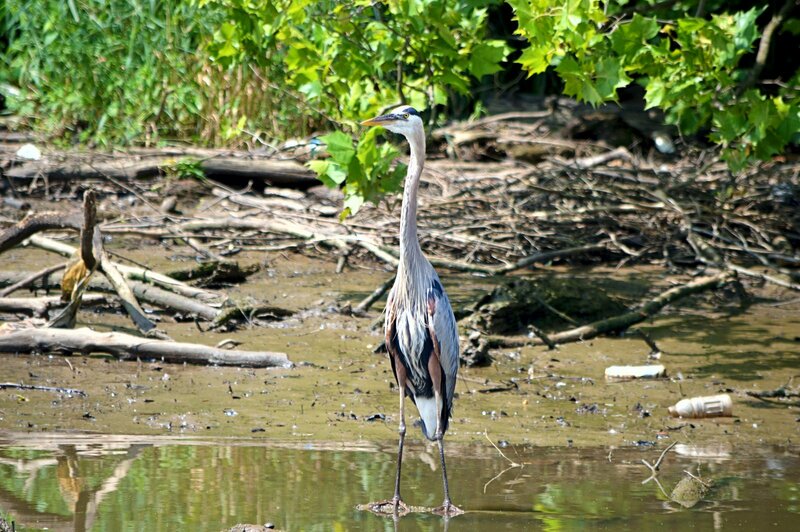 Since 1996 the DC Environmental Network has never stopped working to restore and protect the Anacostia River that runs through many DC neighborhoods. We have worked hard to reduce the untreated sewage, polluted runoff, and trash, that makes its way into our rivers and creeks. The last three years the DC Environmental Network has been part of Mayor Bowser’s Leadership Council for a Cleaner Anacostia River. When we meet we have been engaged in briefings and discussions on the Anacostia River Sediment Project as it moves towards it’s June 30th, 2018, Record of Decision (ROD) requirement. By this date a remedy for remediation of contaminated sediment in the Anacostia River must be chosen. This is a very important milestone in this lengthy process. With the upcoming Record of Decision, the timing of this $5 million dollar cut to important river remediation efforts could not be worse. Additionally, this spending cut may be putting budget pressures on other important Department of Energy and the Environment (DOEE) programs as the District scrambles to fulfill its statutory requirements. The DC Environmental Network hopes the DC Council can figure out how to restore the $5 million in capital budget dollars for the Anacostia River. The bad news is that looming federal budget cuts, unecessary, scheduled tax relief for some of the largest, wealthiest, most successful DC businesses, and other factors, are creating a budget climate that makes finding $5 million a challenge. The good news is one of our biggest Anacostia River champions, Councilmember Mary Cheh, is working hard to try to replace these funds. 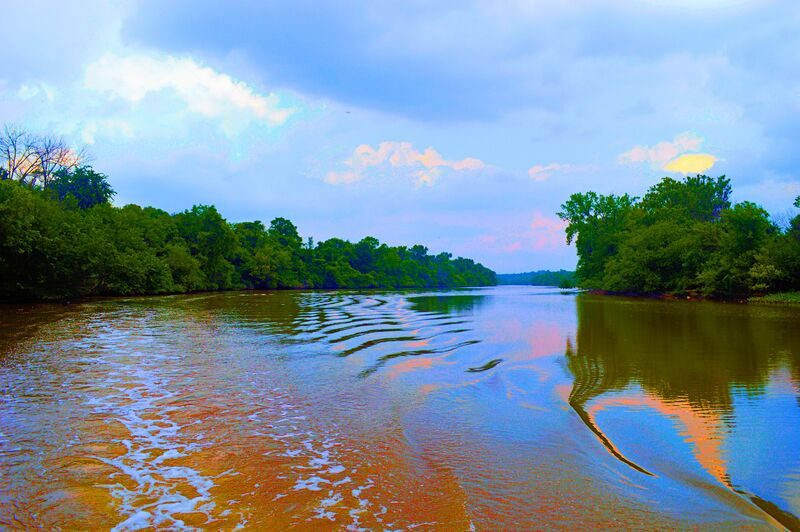 We believe if the Council pulls together and supports her efforts, the District can make progress restoring the Anacostia River, and bring more economic and environmental justice to the people who live along its banks. Budget Focus: Help Restore Recycling Funds to DPW! 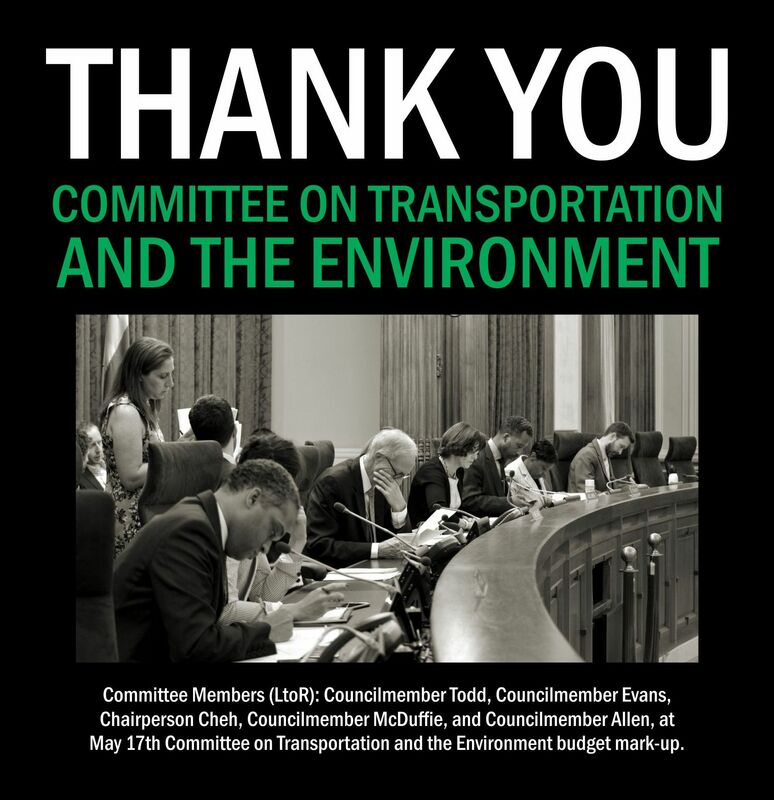 In just one week, the DC Council Committee on Transportation and the Environment will hold a budget mark-up for the Department of Public Works. 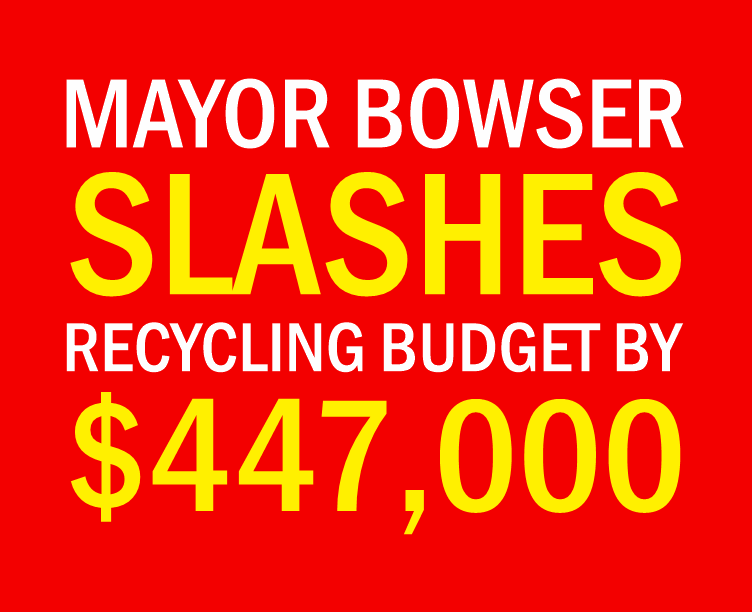 The DC Environmental Network’s primary goal at this mark-up is to restore $447,000 in funds slashed from District recycling programs by DC Mayor Muriel Bowser. These recycling cuts include the elimination of two DPW Office of Waste Diversion staff positions and additional monies for moving important recycling programs forward. 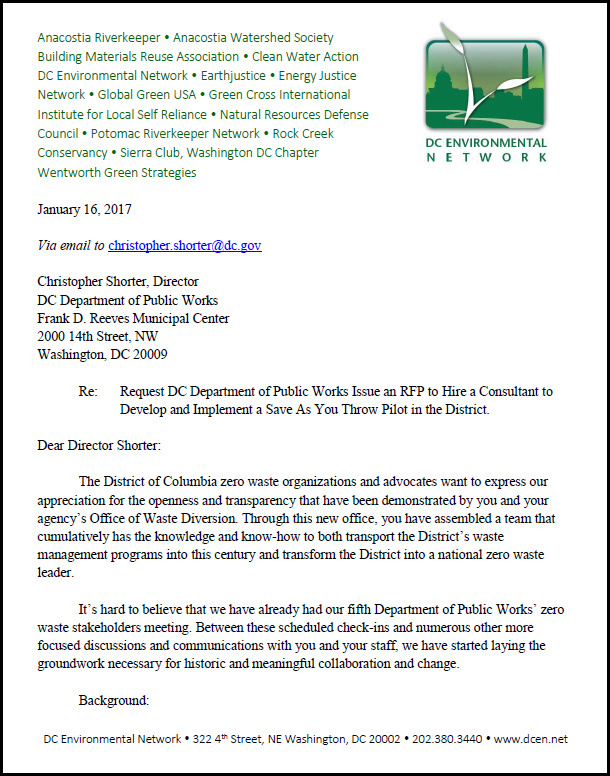 Since 2014, under two administrations, Councilmember Cheh has been engaged in a reorganization of the District’s waste management priorities. 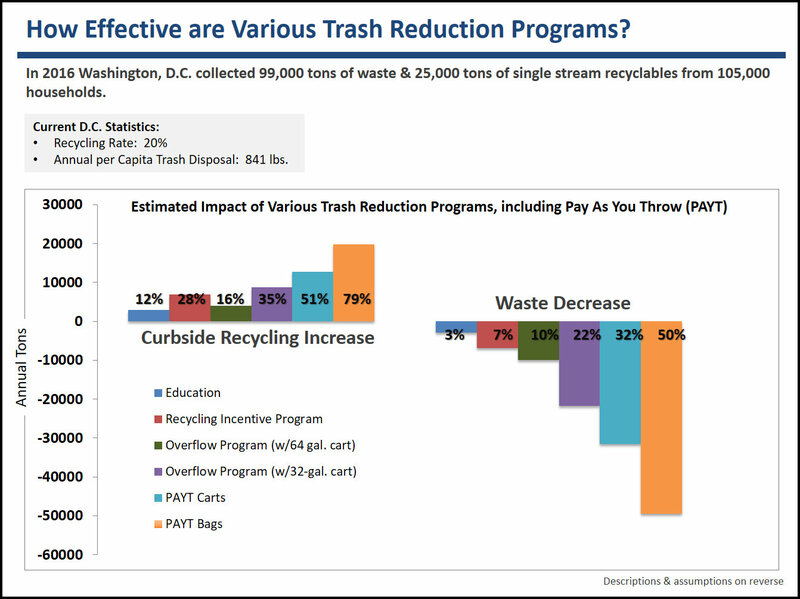 When it comes to recycling, the District of Columbia has long been a regional underachiever with waste diversion (recycling) rates holding steady around 25% (if that) even as surrounding jurisdictions record diversion rates closer to 60%. Not a good place for our nation’s capital city! 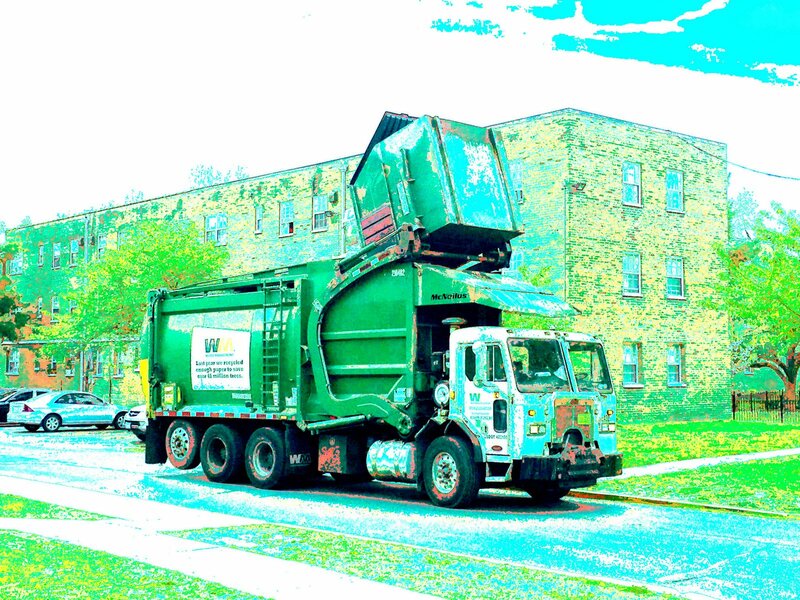 In 2014 Councilmember Cheh introduced the “Sustainable Solid Waste Management Amendment Act of 2014” designed to modify how the District develops its solid waste priorities and update how the District manages its solid waste system. Important to recycling, this law created the Office of Waste Diversion. This is an office that should be focusing a lot of attention on the idea of sustainable waste diversion, and how DC might someday have a respectable recycling rate. On July 14, 2014, this law, was unanimously passed by the entire DC Council and signed soon after by former Mayor Vincent Gray. Supporters included Councilmember’s Cheh, McDuffie, Alexander, Bonds, Catania, Evans, Grosso, Orange, Wells, Barry, Chairman Mendelson, and even Mayor Muriel Bowser, the last year of her time as a Councilmember. 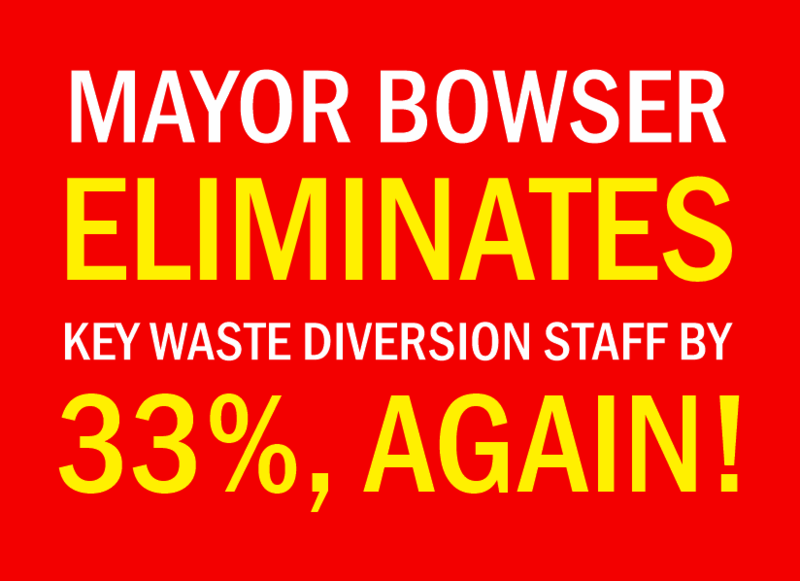 Which makes it all that much more surprising that for the last two budget cycles, Mayor Bowser has chosen to weaken DPW’s Office of Waste Diversion by not filling important positions and undermining the office’s ability to make meaningful progress in overhauling our failed recycling programs. What does the Office of Waste Diversion need these resources for? The good news is that despite the lack of commitment to recycling by the Executive, as reflected by budget priorities, for the first time in decades, DPW has a Director that believes in it. DPW Director Shorter has started to put in place a good team at the Office of Waste Diversion, and the agency is doing a decent job of taking care of their statutory requirements. DCEN believes that transparency, and the quality of implementation of existing programs, has improved the last two years. But that is not enough! DCEN believes that what is on the table now is not enough to make the necessary changes that will result in meaningful improvements to recycling in the District. The Office of Waste Diversion needs more staff to start doing the research and planning necessary to move the District towards being a zero-waste city. That’s why we are asking the Council to restore funding for two Office of Waste Diversion staffers, as well as restoring nonpersonel funds that could be used for research and planning. To help Mayor Bowser make progress before her first term is up, we are also asking that some of the nonpersonel funds be used to put a Request for Proposals (RFP) out to plan and implement a Save As You Throw pilot. Save As You Throw is a usage pricing model for disposing of municipal solid waste, that could help District ratepayers save money, reduce green-house gas emissions, and increase DC per capita recycling rates. This would be a meaningful step towards researching what recycling improvement options are available to the District. We believe a Save As You Throw pilot could help us do a better job of planning our zero-waste future. What can we all do to help restore funds for recycling? To start, please consider signing the petition that zero waste advocates will be delivering to the DC Council next week. 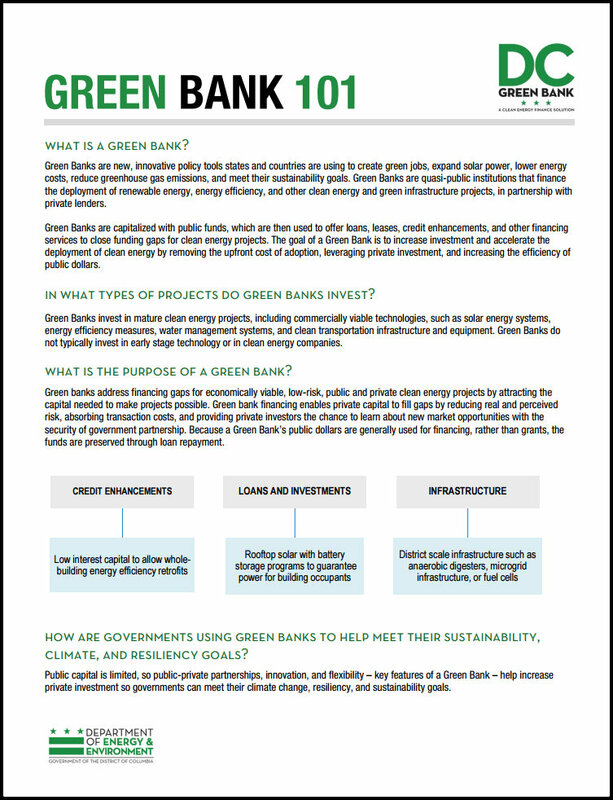 If you are interested in doing more, contact me at 202-380-3440 or email cweiss@globalgreen.org. We need to get this done in the next seven days! We have an unsustainable budget and need your help! As many of you know we are right in the middle of the District’s budget season. Mayor Muriel Bowser has sent her budget to the DC Council, the DC Council has already held most of their budget hearings, and now a mad scurry has begun to try and quickly decide what the Council’s budget priorities are and what changes need to be made. In just ten days the eleven different Council committee’s will begin marking up their share of the overall budget, and soon after that, the full Council will vote twice on the entire budget. The DC Environmental Network (DCEN) has tried to give you opportunities to learn about the piece of the budget pie you care about the most. DCEN and the DC Fiscal Policy Institute, held two special budget briefings, one with the Department of Public Works, and the other with the Department of Energy and the Environment. Around 20 different environmental organizations, and a number of individual advocates participated. 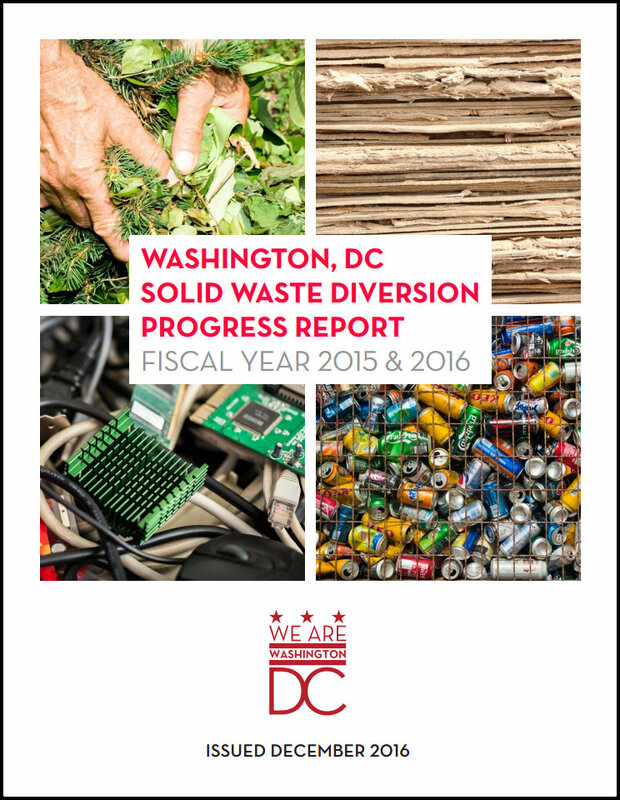 – Restoring DC Recycling Programs: Mayor Bowser eliminated two full time jobs and other funds from DPW’s Office of Waste Diversion (OWD). OWD is the office that is primarily in charge of recycling programs and is focused on trying to move the District away from being the worst recycler in the region. We are requesting that the DC Council restore funding for the two Office of Waste Diversion staff (FTE’s) as well as all the nonpersonel funds that were slashed from their budget. We are also requesting that the DC Council direct DPW to use some of the restored non-personal funds to plan and implement a Save As You Throw (SAYT) pilot in 2018. 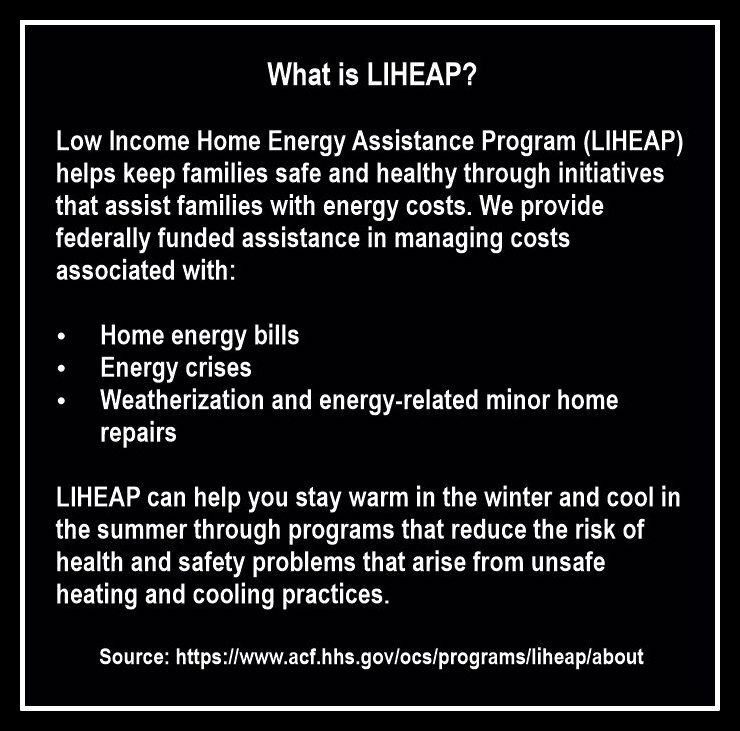 – Restoring $3 Million in Low Income Home Energy Assistance Program (LIHEAP) Funds: Every year the District and federal government make LIHEAP money available to help low income District residents who cannot pay their energy bills. This program is administered by DOEE. DCEN has been told that in order for the District to minimally duplicate the last fiscal years help, the Council will have to find an additional $3 million dollars. 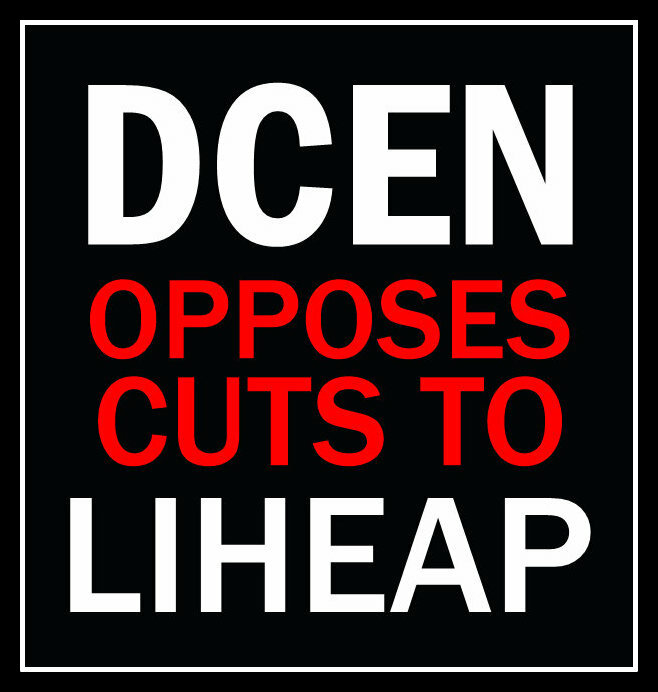 DCEN is particularly concerned about these funds this year because the poverty focused non-profits that normally engage in advocacy on LIHEAP currently have too many other budget shortfalls to deal with. DCEN is going to try and do what we can to restore these funds. Currently it does not look good, and the District may end up telling District residents, at a time of critical need, that there are no more funds. – Restoring $5 Million in Capital Funds for Anacostia River Clean-Up: Mayor Bowser removed $5 million capital budget dollars that were targeted for hazardous material remediation of the Anacostia River bottom sediments and the contaminated land areas adjacent (particularly to Ward 8’s Poplar Point and Ward 7’s Kenilworth North). With upcoming clean-up requirements looming, the timing of this reduction could not be worse. Additionally, this cut may create budget pressures on other important DOEE programs as the District scrambles to fulfill its statutory requirements. The DC Environmental Network primarily recommends that the Council try and restore the $5 million capital budget dollars. We also support the efforts of other organizations to, ideally, recommend finding additional capital dollars, possibly as much as $10 million, to continue progress on all remediation projects. As you can see we have our work cut out for us. Luckily, we are coordinating with a number of DC focused organizations in trying to impact all of these budget items. We could also use some help from you! DCEN is going to be down at the Wilson Building every day prior to the committee mark-ups. If you want to help us at scheduled meetings and office visits, give us a call at 202-754-7088 or email cweiss@globalgreen.org. Hope you can join us. Join DCEN for a special meeting with Councilmember Kenyan McDuffie to prepare for the upcoming DC Council Performance Oversight hearings. This meeting will focus on the DC Public Service Commission (PSC) and the DC Office of People’s Counsel (OPC). Business and Economic Development, in a special DCEN meeting in preparation for the upcoming performance oversight and budget hearings. This meeting is scheduled for Thursday, February 16th at NOON. It will be held at the offices of Friends of the Earth and Green Cross International, 1101 15th Street NW, 11th Floor. You must sign-up here to attend this special DCEN meeting. 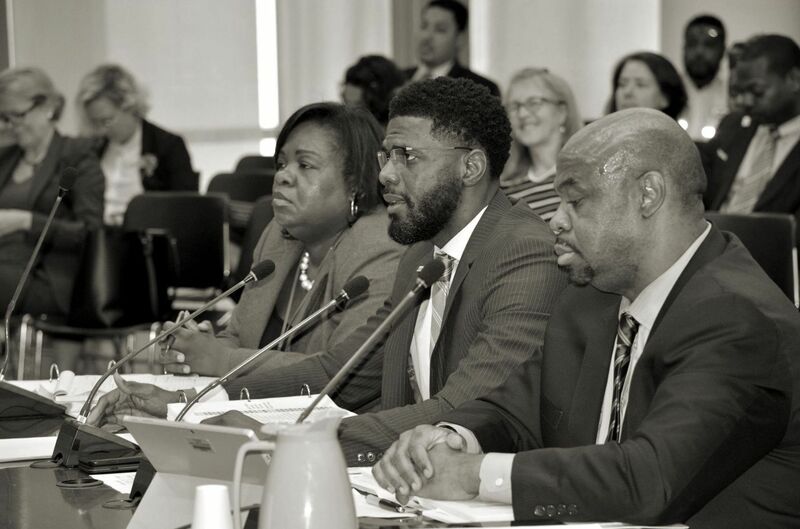 Although Councilmember McDuffie’s committee has several agencies under its purview, our meeting will be primarily focused on the DC Public Service Commission (PSC) and the DC Office of People’s Counsel (OPC). These agencies play an important role in the work many of us engage in that is connected to energy and climate issues. Meeting participants will have the opportunity to share ideas and opinions about the PSC and OPC in preparation for the DC Council Committee on Business & Economic Development Performance Oversight hearing scheduled for February 22nd, at 10:00 AM, at the Council of the District of Columbia, 1350 Pennsylvania Avenue NW, Room 500. Click here for more information! You must RSVP here to attend the DCEN meeting. “ The mission of the Public Service Commission of the District of Columbia is to serve the public interest by ensuring that financially healthy electric, natural gas and telecommunications companies provide safe, reliable and quality utility services at reasonable rates for District of Columbia residential, business and government customers. “The Office of the People’s Counsel is an independent agency of the District of Columbia government. By law, the Office advocates for consumers of natural gas, electric, and telephone services. 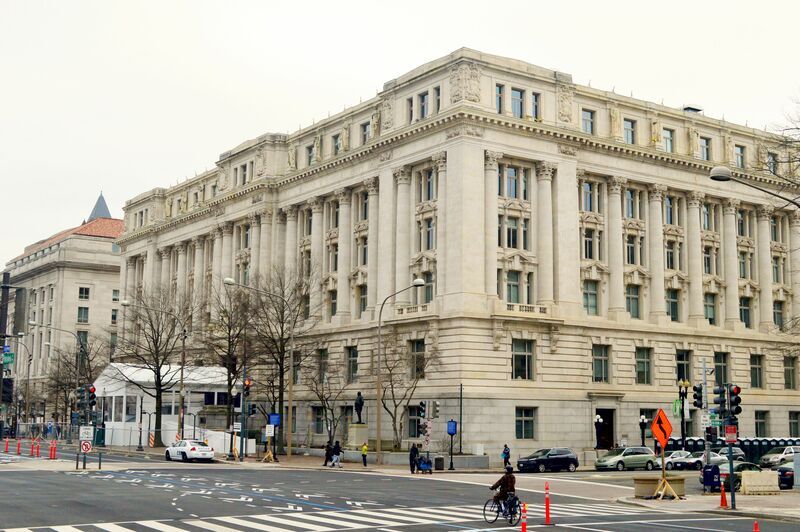 The Office also represents the interests of District utility ratepayers before the DC Public Service Commission, Federal Energy Regulatory Commission, Federal Communications Commission, other utility regulatory bodies, and the courts. The office is mandated to conduct consumer education and outreach, and may represent individual consumers with complaints related to their utility service and bills. 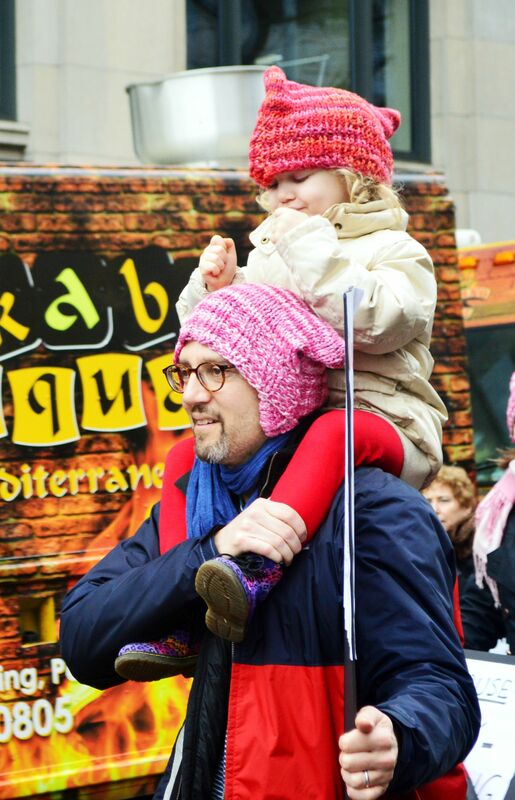 Join DC’s Don’t Govern With Hands Tied Campaign! Join the DC Environmental Network for this special opportunity to start working with the broader sustainability community to achieve our shared vision for the District of Columbia! I want to share an opportunity to participate in an important campaign, spearheaded by the DC Fiscal Policy Institute, and with partners including the Children’s Law Center, DC Alliance of Youth Advocates, Fair Budget Coalition, Jews United for Justice, Legal Aid Society of DC, Metropolitan Washington Council AFL-CIO, Miriam’s Kitchen, Washington Interfaith Network, DC Environmental Network, and others. We will need fiscal flexibility to meet these challenges and others that come our way. It is also necessary, as the new Congress and President Trump have threatened to cut federal funding for our nation’s critical safety net, including Medicaid, SNAP, and other programs that are important to the health and wellbeing of District residents. We will need fiscal flexibility to maintain and protect these basic human needs. Reading the newspaper, the last 48 hours, it’s easy to imagine this list could grow larger and very much impact funding for protection of children from lead poisoning, helping communities adapt to climate change, and other federal programs important to the environmental health and human service community. We will need fiscal flexibility to protect the health of our children and to prepare for the impacts of climate change. This sensible proposal, which the DC Environmental Network fully supports, includes spending DC’s budget surplus from FY2016; putting automatic tax cuts on hold for 2018; and creating a budget cushion to deal with looming federal cuts. Supporting this initiative is an important way we can all join together and prepare ourselves for the coming year and beyond. Already it is clear that many in Congress are getting in line to meddle in District affairs to make political points. One way we can fight back and get through the next four years, is to open our minds and hearts to a new way of achieving our sustainability goals. That means getting out of our silos and striving to find ways of helping any program or initiative that creates better wellbeing for everyone in our favorite city, the District of Columbia. The idea is more working together. I ask that you consider joining the DC Environmental Network in supporting this campaign statement, and if possible, put some of your time and resources into helping us convince our home town decision makers that now is the time to take off some of our restrictive fiscal restraints as we prepare for a very uncertain future. I am hoping you will consider signing our statement and joining this critical and timely campaign. Save As You Throw Sign-On Letter! The Anacostia Riverkeeper, Anacostia Watershed Socieity, Building Materials Reuse Association, Clean Water Action, Earthjustice, Energy Justice Network, Global Green USA, Green Cross International, Institute for Local Self Reliance, Natural Resources Defense Council, Potomac Riverkeeper Network, Rock Creek Conservancy, Sierra, DC Chapter, and Wentworth Green Strategies signed on to a DCEN coalition letter asking the Department of Public Works to go forward with a Save As You Throw pilot. Click here to read the letter. You can learn more about Save As You Throw here! Join the DC Consumer Utility Board Grid 2.0 Working Group Meeting! The DC Consumer Utility Board’s GRID2.0 Working Group meets to discuss and prepare the civil society response to the PSC’s Formal Case No. 1130, Modernizing the Energy Delivery System for Increased Sustainability (MEDSIS). The PSC established MEDSIS to identify technologies and policies that can be implemented to modernize DC’s distribution energy delivery system . The stated goal of MEDSIS is to increase sustainability for District consumers, and in the near-term, make the distribution energy delivery system more reliable, efficient, cost effective, and interactive. The next meeting will be February 6th @ 5:30 PM. It will be held at the offices of the DC Environmental Network, 322 4th Street NE. Support DC Climate Leadership in 2017! The District’s response to Donald Trump. Maximizing District of Columbia climate leadership in 2017 and beyond. It’s happening this week. No, I am not talking about the peaceful transition of power in the United States, but the continuation and acceleration of our efforts to make sure OUR city and planet do what is necessary to reduce carbon emissions and prepare for the most certain, and dangerous, impacts of climate change. 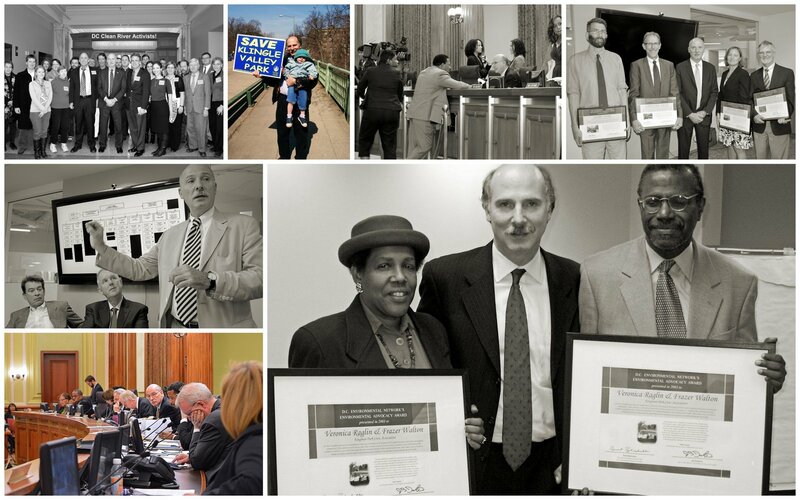 This week, and for the rest of the year and beyond, the DC Environmental Network (DCEN), and thousands of District residents and activists, will be engaged in education and advocacy, to push local efforts to new heights of accomplishment, introducing new tools to reduce carbon emissions, and expanding the number of District residents engaged in the global effort to protect our planet from climate change. The goal is more meaningful actions by District residents, government, and organizations, to fight climate change, and maximize District climate leadership in 2017 and beyond. We have a city that already has the people to do the work, and can set a wonderful example to the rest of the region, country, and world. Let’s start getting together more often to make this happen. January 18th @ NOON @ Offices of Green Cross International/Friends of the Earth: Briefing on Mayor Bowser’s Trip to the C40 Summit in Mexico City – Join the DC Environmental Network for a special climate briefing on Mayor Muriel Bowser’s recent trip to Mexico City to participate in the C40 Mayors Climate Summit. This briefing will include comments from Tommy Wells, Director of the Department of Energy & Environment (DOEE), Mayor Bowser (Invited), and other individuals who were part of the District of Columbia’s summit delegation. We need your participation so we can show Mayor Bowser that her efforts, to become a climate action leader, are important to us. Find additional information and RSVP here if you want to participate in this conversation. 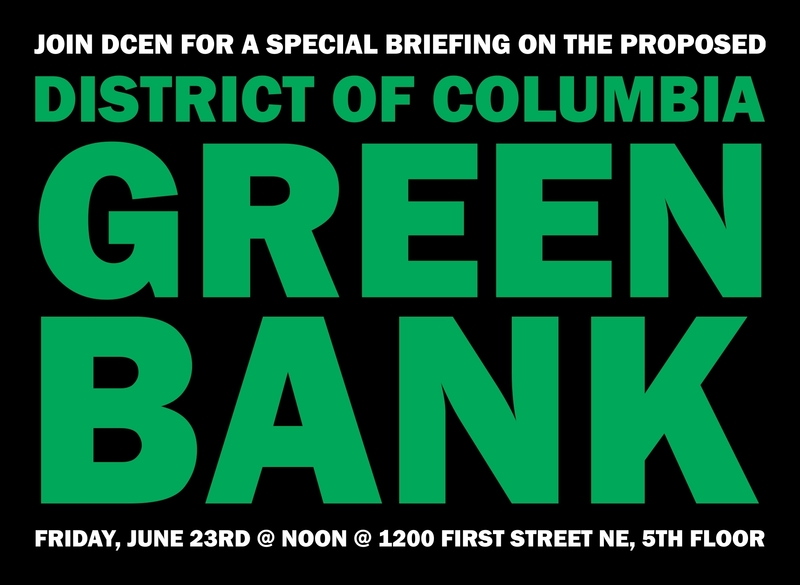 February 16th @ NOON @ Offices of Green Cross International/Friends of the Earth: Briefing on NEW Carbon Rebate Campaign – DCEN has been thinking about pricing carbon pollution in the District since 2002. Now, several organizations and activists have put a proposal together that will not only put less carbon into the atmosphere, but with a rebate, put more money into the pockets of DC families who need it the most. Come learn about this new proposal and be ready to take real and meaningful action. Keep a look out for our announcement and link to RSVP. February Briefing w/Councilmember Kenyan McDuffie – We will also be scheduling a discussion in February, with DC Councilmember Kenyan McDuffie, to talk about his oversight of the DC Public Service Commission (PSC) and other offices and agencies important to the growth of renewables and the reduction of carbon emissions. Now, more than ever, the District of Columbia has the responsibility, as the seat of federal power, to help lead the charge and use our local actions and policies to set an example that our President and Congress cannot ignore. We need your help to get their attention. Join us as we use local action as a response to climate denial. Passing laws and policies that do the right thing might just get their attention and create the leverage we need to win. Hope to see you and hear your voice sometime soon.